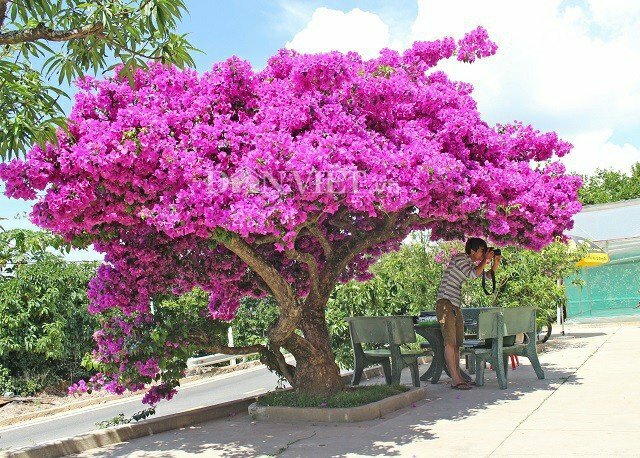 The giant paper flowers have nearly 30 years of age, flowers blooming thickly each purple bunch creates simple beauty, wild like fairy tales make Da Lat and many tourists to this city must mourn Everybody tries to linger to capture their own memories. Many people call the paper flower fairy. The owner of this 28 year old paper flower is Mrs. Huynh Thi Sau, 67 years old, from Tram Hanh commune, Ho Chi Minh city. Da Lat, Lam Dong province. Paper flowers are up to 28 years old, attached to the life of Mrs. Sau. Da's daughter said: "This tree is my dad planted in 1990, since it was just the thumb of an adult." So far her husband is no longer, many people asked to buy paper flowers at very high prices, in gold, but she and her children still do not sell because this is the family's memories. After 28 years, the diagonal (original circumference) of the paper flower tree has reached 1.2m. The recognition of Dan Viet, paper flowers fairy tales about 3m high, with a spread of over 5m is made up of two main branches around 60cm / branch. This paper flower was planted almost 30 years ago, after the house was built, the family planted paper flowers as a souvenir. Since then the paper flowers bloom continuously for several months, most clearly in 3-7 every year. 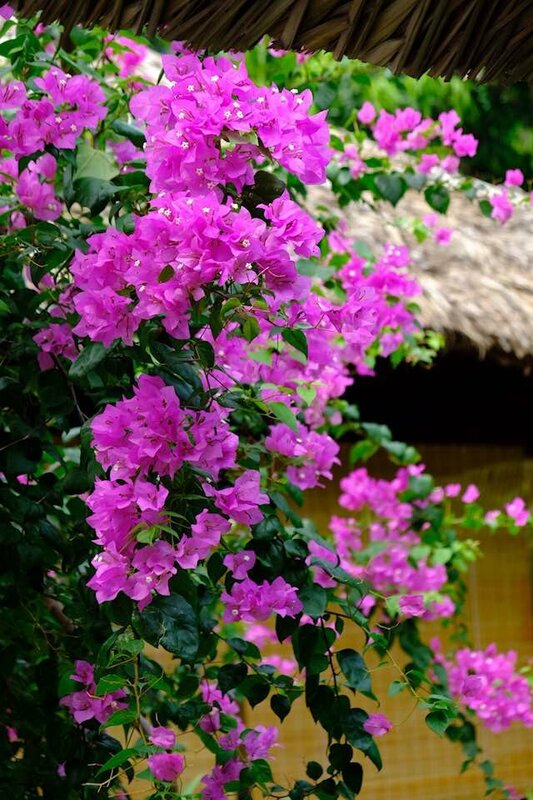 The flowers of Huynh Thi Sau's family were planted 28 years ago. 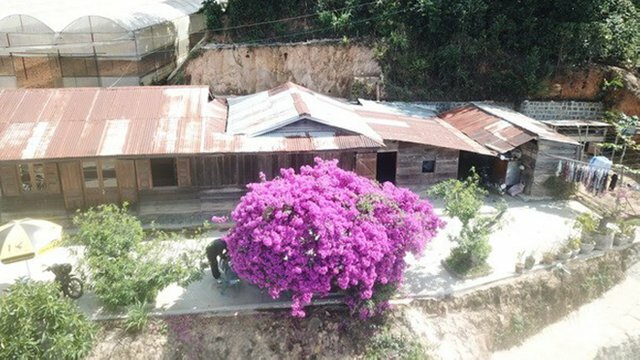 In 1990, when building a wooden house along Highway 20, her family planted four paper flowers, but now only two trees in front of the house. The family just pruned some small branches for self-development. 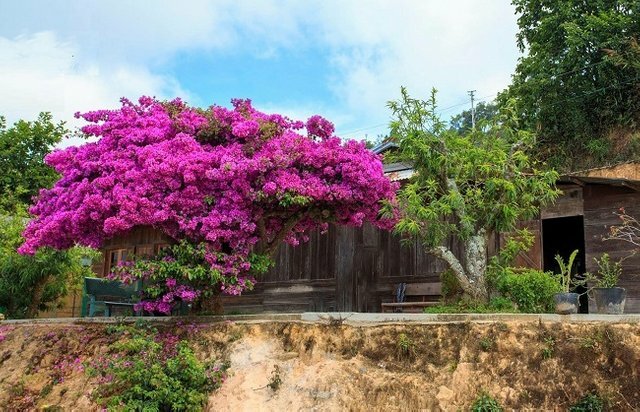 In recent months, dense flowers that many people go through are admiring, many visitors, especially the young people often visit the photo souvenir. Over many years, the flower is about 5m wide, with a diameter of about 60cm. 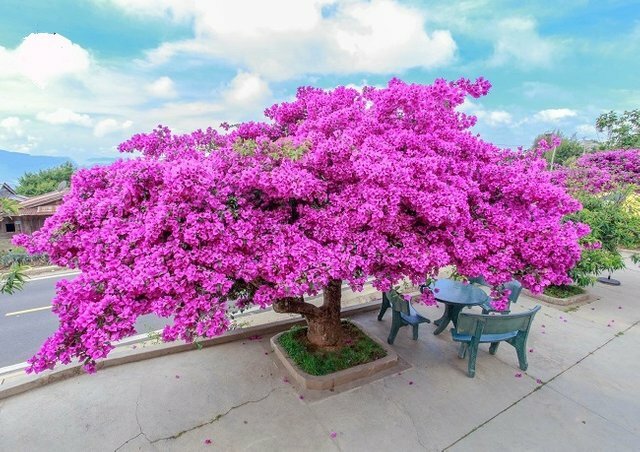 The ancient paper flower tree is 60cm in diameter, 3m high, located in front of the house forming the highlight of the area. The owner of the house said that many people came to ask but the family did not sell even though the price was very high. Mrs. Sau's family planted four paper flowers, but now there are only two trees in front of the house.